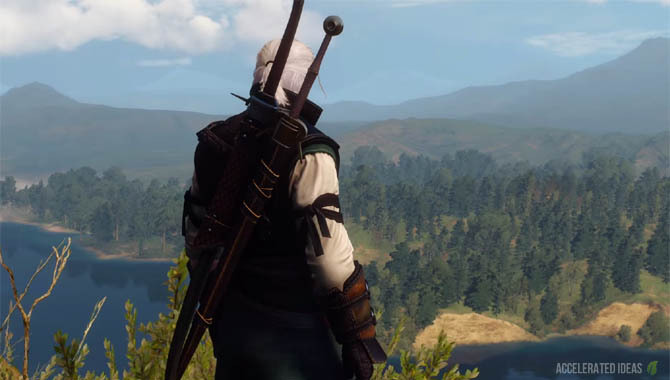 Players can find and craft a wealth of items in the Witcher 3 including new armour, weapons, potions, oils and bombs. In this guide I'll cover the principles of crafting weapons and armour to create a stronger arsenal and more protective gear for Geralt, but also look at some of the best gear in the game which you'll earn through Quest rewards and defeating the toughest monsters. Before you can craft any new items you need the Diagram (blueprint), raw ingredients (referred to as components), some money and in some cases the right craftsman. The best armor sets you can have are the ones that you craft yourself, these are usually linked to Quests where you go on an adventure to find the components that you need. Want to see a quick example of crafting new armor and weapons? 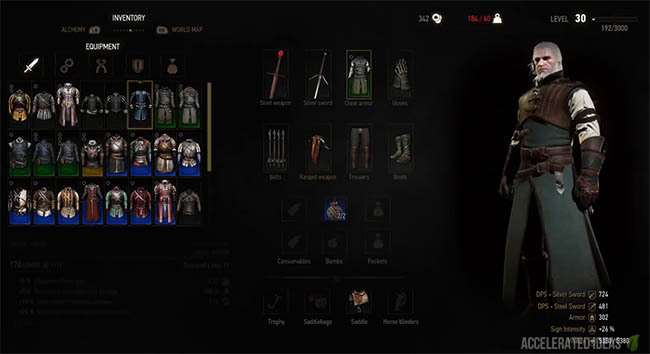 New to the Witcher 3 is the durability mechanic that downgrades armour and weapons overtime - the more you use your favourite gear the more you'll need to repair it. This repair process is completed through a merchant known as a Blacksmith or Armorer. Geralt can equip a range of gear that includes: Steel Swords, Silver Swords, Chest Armour, Gloves, Bolts, Ranged Weapons, Trousers, Boots. Throughout the Witcher adventure you'll stumble across many weapon types: two handed, one handed, ranged with different variations and also weapons that vary by damage type. Note: This guide is for weapons and armour only. For Alchemy see my other post. Like other screens in the game, the main Crafting screen is split into 3 sections. Working from the left side we have a list of craftable items, then in the middle we have a sequence of resources required to craft the item and finally on the right we have detailed information on the selected item. Players can scroll through a list of available items (Diagrams) on the left and also the crafting components just below. Simply select an item to craft and the middle of the screen refreshes showing you the exact components needed to complete the new item. The type of item e.g. Armour / Chest Armour. Details for the item e.g. Medium-weight gear. Increases Armour. Required Level - The level you must be at in order to use the item. Craftsman Requirements - where it can be made and also the Craftsman level required to make it e.g. Armorer, Amateur. For a crafting operation to start the craftsman needs to be paid a small amount of money- after all they need to eat as well right!? Diagrams are the blueprints required to craft new armour and weapons. Players can win diagrams by completing quests, find them by looting or buy them from vendors. Once a diagram is found, you can visit a Blacksmith or Armorer to view its contents and reveal the necessary crafting components. A great way to guarantee that you'll find diagrams is to partake in a treasure hunt, namely the Viper, Griffin, Cat and Bear School Gear quests. Although these quests are unmarked they have guaranteed rewards. Besides needing the diagram, the right amount of resources and money, you also need to pay attention to the different types of smiths in the Witcher world - not everyone is the same. Put simply, you need to find a craftsman with the right speciality (armorer, blacksmith etc.) for the type of item you wish to craft with enough skill to craft an item of its quality. So even if you have the right number of components, an unskilled craftsman will not be able to help you. TIP: One way to quickly get crafting components is to dismantle your existing gear. This is done by visiting a craftsman and selecting the Dismantle panel. In order to craft new gear (or repair existing gear) you need to find a good Blacksmith or Armorer to help you. These craftsmen are scattered throughout the Witcher world but in many cases their exact location isn't revealed until you help rid a particular area of a threat. Once an area is safe, inhabitants return and numerous merchants pop up on the map. These include shopkeepers and the all important Blacksmith and Armorer. Furthermore, as you venture deeper into the game you'll uncover highly skilled craftsmen who can craft the best weapons and armour in the game - albeit at the right price! Blacksmith: Blackbough, central Velen, west of Crow's Perch. One of the alternative ways to get new weapons is to find them; either through loot, rewards or maybe from a dead enemy that you helped to defeat. A particularly important introduction in the Witcher 3 is level requirements for weapons and armour. In a traditional RPG, you wouldn't be able to use high level weapons until your level either matched or exceeded that baseline. Conversely in the Witcher 3, the majority of weapons will have automatic downscaling so that if a weapons level is too high it will downscale to your level and you won't need to visit a Blacksmith in order to use it. The same applies for armour. Bare in mind though that once a weapon downscales it remains at that level and doesn't upscale later as Geralt levels up. This is CD Projekts way to allow players to try a variety of weapons throughout the game. Note: Not all weapons will downscale though. Some rare and end game weapons will always retain their level and stats, which makes sense as you progress to the outer reaches of the storyline. There are three types of armour in the Witcher 3 (shown below). Take note that as you increase your resistance to attack you also compensate your characters speed and agility. Suitable at the lower levels, these provide little protection from sustained attacks but are adequate for the monsters you encounter in the prologue. Most light armour will be below level 20 and they do not have a highlight/background colour on the inventory screen. Starting at around level 20, the medium armour sets provide increased bonus resistance to piercing, bludgeoning and slashing damage. An example is the Salmian Brigandine which has an armour stat of over 130. Medium Armour items are usually white, green or blue. Your end game armour starts around level 25 and provides an armour stat of 150 or above. These armour items typically provide high resistance against piercing, bludgeoning and slashing damage, and many also improve your Sign and character stats such as Adrenaline. Heavy items are usually Witcher (green) or Magic (yellow) Items. Runes provide magical effects for your gear in the Witcher 3. They can be placed in the Rune slot to dramatically increase the weapons base statistics. 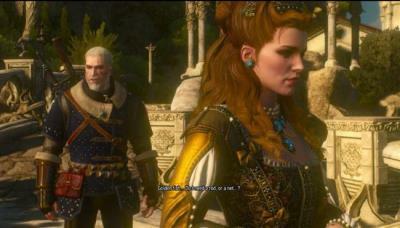 Geralt can earn Runes through Quests or buy them through shopkeepers. Two good examples are the fire and frozen runes which produce some really nice side effects. But players face a tough choice when dismantling Rune gear: they can either keep the Rune and destroy the gear, or vice-versa and keep the components and destroy the Rune. So you've found a great diagram but you're missing half of the crafting components? In this situation you've got three choices: find the component, buy the component or dismantle something to yield the component. I would recommend trying the dismantle option first because its quick. Just visit a Blacksmith or Armorer and open the dismantle section of the crafting screen. Hover over your inventory items to see which components are returned after dismantling something. For example you can dismantle a Meteorite Silver Ingot in return for a Meteorite Ingot and a Silver Ingot. This would grant you some key components for crafting say a silver sword. The only downside to dismantling something is that like most crafting options it still costs money. Ingots: dark iron, dark steel, dimeritium, glowing ore, silver.